A wrapper or iframe is usually used to insert content from an external website into the body of your web page. 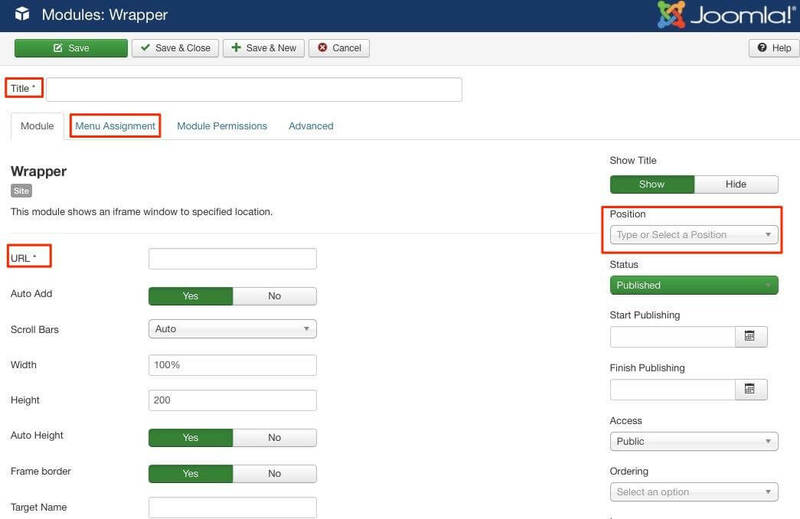 If you want to insert the same content into multiple pages, Joomla! has a wrapper module which will be ideal for the task. If you want to insert your wrapper or iframe into the body of your article and are using the default Joomla! editor (TinyMCE), click the Source code icon in the editor toolbar and paste in your raw HTML. If you are using JCE as your editor, there is also a source code icon in the toolbar where you can paste your raw HTML, or there’s an iframe addon available with the paid JCE subscription which will generate your HTML code for you.